Google has been investing heavily into bringing new products to the web world but not all are being used by its users. Today Google announced that it will not continue the development of Wave which is its experimental Web-based messaging platform. The company says “lack of adoption” was the key reason for killing this ambitious project. Wave integrated many different elements together such as instant messaging, email, microblogging and editing and it was expected to offer a single information rich screen to the end user. Analysts say one major reason for the low adoption of the wave was that users found its page to be cumbersome and the flow of information was just over whelming for some. Google said that it will work on a tool that will let users using wave offload their content and be able to work offline. Google is likely to adopt many of the techniques used in wave into their other products. 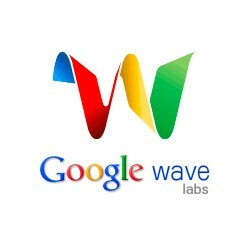 Google had expected to bring Wave to business this year along with Google Voice. But that seems highly unlikely now with this announcement. This is the second time this year that a major technology firm shelved its ambitious product. Lets not forget Microsoft did the same to Microsoft Kin!